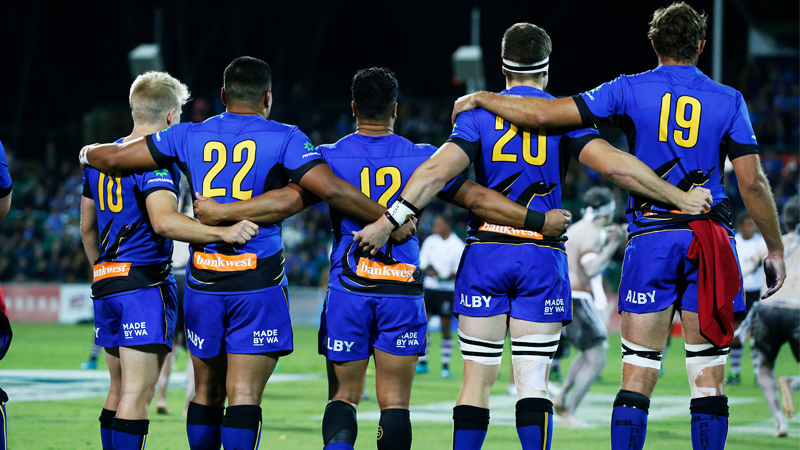 The Western Force has today finalised a five-man leadership group for 2019, headed for the second consecutive year by captain Ian Prior. The team held leadership exercises in the last few months where the players voted for who they wanted to lead in 2019. Coach Tim Sampson said he is really excited for the leadership group to come together and see what they accomplish this year. “I was very keen for the players to select their own leadership group this year,” Sampson said. “We recently conducted a group exercise which commenced with the players putting their heads together to come up with “hot words” in what they perceived to be key qualities in a leader. “After discussing the key qualities, we then went to a player vote and what was really encouraging was that the votes were spread across the squad. Sampson said he was impressed by the process in which the team voted for and selected their own leaders.